We made this at the Creative Inkers Team meeting in July. That was some time back! This was the first time we all got a chance to use the New Firm Foam ink pad and the new In-colours. 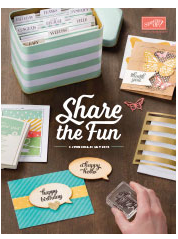 Tools: Big Shot, Embossing folder - Adorning Accents Folder, 2-3/8'' Scallop Circle punch, 1-3/4'' circle punch, Paper snips.